Learning a new language can be challenging at first for those who are not aware of how to get started. It is a good idea to have a couple of procedures in place in order to gain fluency in a new language. 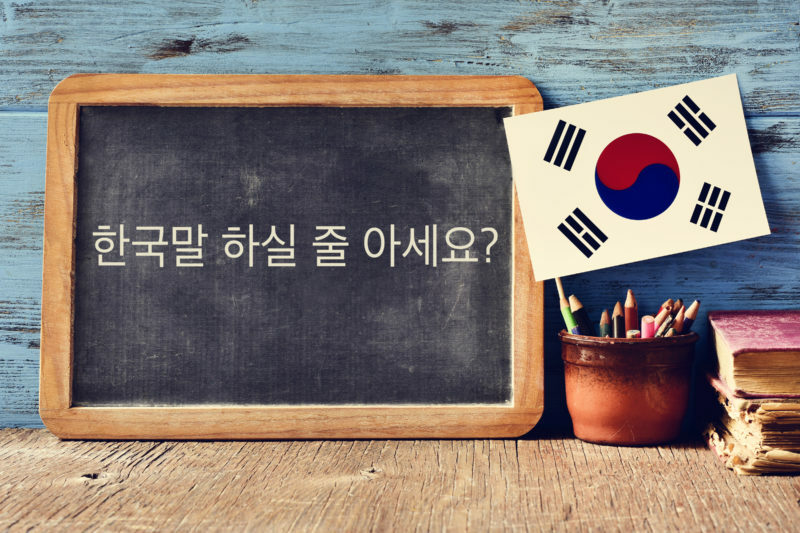 There are some special tips for those who are interested in learning the fascinating Korean language. Flash cards have been used for education purposes for years as those looking to learn a new language can write down the Korean word on one side of the card for reference. You are able to write the translation of the word on the back of the card. This method of study is perfect for memorization, and stimulates the brain to learn new words. As great as a tip this is, it is always best for those learning a new language to practice while in conversation with native Korean speakers. This method of studying grammar is different than actually speaking a language. It is advised for those new to Korean to change their perspective when it comes to speaking a new language. The best advice from experts and native speakers alike is to start learning how to remain comfortable and confident when in conversation with native Korean speakers. Many people want to know how to learn Korean like a native speaker and should understand that practice always makes perfect. Beginners to the language are encouraged to spend as much time speaking the language in order to become more confident while in conversation. Picking up basic Korean vocabulary and phrases are one of the best ways to learn the fascinating new language. This method of learning a new language is called conversational fluency. It is also advised to remain cool and confident when engaging in conversation with native speakers. Pausing to search for appropriate words in conversation is a good way for people to see that you actually aren’t a native speaker. It is a good idea to practice phrases and practical words in order to get the hang of the new language. Professionals advise learners to stay motivated when learning any new language. Motivation is always a crucial part of learning anything, especially a new language and culture. It is in your best interest to be clear on why you want to learn Korean in the first place. If this new language will help your career, it is advised to keep that in the forefront of your mind when it comes to learning and practicing. It is important to note that you are using filler words when speaking your native language. These words help to bridge words together and fill in spaces within the chosen sentence structure. Students are encouraged to pay attention to the words that are used to elaborate or to open sentences when in conversation. In addition, paying attention to words that express agreement or disagreement are encouraged. Creating a personal phrasebook with various Korean words in it can be of great benefit to beginners. It is a great idea to consistently write down any new words or phrases that you hear in order to assist with picking up the new language. This special notebook will serve as your very own dictionary which you will be able to reference at any time you choose. These chosen words have proven to be useful to you in the past and therefore will make it easier to speak Korean like a native. Furthermore, writing helps you remember words through the use of repetition. In order to be able to see how to learn Korean like a native, it is a good idea to get rid of any anxiety when it comes to learning and engaging in conversation. Practicing the new language with other beginners could prove to be a great way to gain some confidence. Searching online might be a good place to start when looking for others to learn Korean with. There are many websites and social media platforms that cater to many different cultures so it shouldn’t be too much of a challenge to find someone who you can connect with. Students are also encouraged to join events and programs where Korean is frequently spoken. You are also able to enroll in online programs and schools that offer courses on how to speak Korean. It may also be a good idea to search your city for any activities at your local library. Setting up group chats and weekly phone calls can go a long way in helping beginners stay motivated. These are just a few ideas to make learning a new language fun and exciting. It has been noted over the years that a great method to learning something new can be found using music. Experts advise to find a catchy Korean song and memorize the words to practice from. The melody will be great motivation and you can add words or different verses as you learn. You can even dance while you recite the song and this will help you to remain excited. Memorizing a few lines from a Korean movie can also be helpful to beginners. Repeating the line word for word can help with pronunciation and sentence structure. Another great professional tip when learning the exciting Korean language is to record all of your conversations and practice sessions. This is a great way to track your progress and pinpoint any words you may be struggling with. Purchasing a recorder isn’t necessary as you can use your cell phone recorder to capture a clear recording of yourself. Listening for areas where fillers and other speech connectors can be made is a great way to start improving. Recording yourself can also help with confident when it comes to your conversational fluidity. Learning a new language does not have to be difficult and can even be quite enjoyable. The best way to get started is to literally just start. Do not let another day go by, practice your new language as soon as possible and see how exciting it can be. Be sure to stay excited about this new learning experience and think of all of the exciting new people you’ll be able to connect with just by learning a new language. Which Of The Two Would You Choose, To Learn Korean Or Japanese?